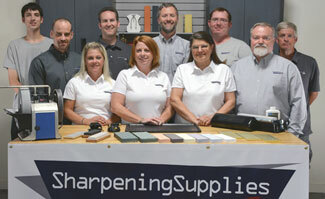 The Twice As Sharp Complete Package is an ideal setup for sharpening all Scissors and Shears. The Complete Package combines the Professional Package, which comes with the 100 grit sharpening wheel so you can sharpen the shears your customers entrusts to you quickly, and a 400 grit honing wheel designed to enhance the shear, and the Ookami Gold Package which includes the special 800 grit Diamond Wheel, the Ookami Gold Polishing Wheel and Compound for unmatched polishing, a Fine Ceramic Hone, a Diamond Wheel Cleaning Stick and 3 Practice Shears with a Training DVD. In addition to the standard items from both the Professional and Ookami Gold Packages, the Twice As Sharp Complete Package includes the Honing Block Kit, the Set Adjusting Tool and the Deluxe Screw Pliers Set. 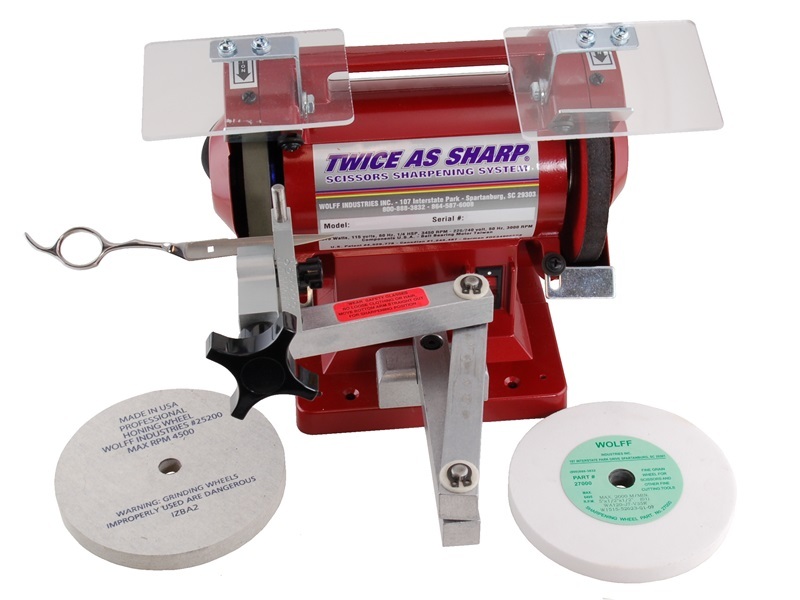 The parts and accessories for the Twice As Sharp are fully interchangeable with the Foley-Belsaw Model 327Scissors Sharpening System.